This cool box is used for logistics and transportation of Vaccines, medicines, Blood samples, body tissues, Biological samples etc in the health care industry. The technical functioning is similar to those of refrigerators and freezers. Being small in size, there are also known as portable refrigerator or portable freezer depending upon the model. Available as DC and AC/DC version. The medicines can be stored between 2 to 8 Deg C. Cooling results up to 20°C below ambient thanks to thermoelectrics, thick and even insulation all round and additional fan. Integrated cable compartments and a carrier handle that also serves to support the lid. 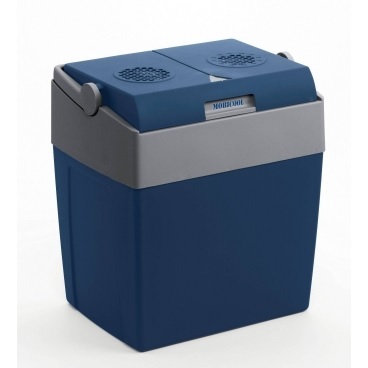 There are various sizes of boxes available from 20 L on wards up to 100 Litre. Temperature ranges vary form -20°C on wards. Some of the models are having adjustable thermostats so that customer can set the desired temperature similar to any other full sized refrigerators. Accessories Included: 1 cooler, 1 car adaptor, 2 chargers, 2 super high power io-n batteries, 1 accessory bag. In pharmaceutical industry, these kind of boxes are also knows as active boxes. The active boxes are cooled by active methods such as by refrigeration as given for above models. For ensuring that the inside temperature always remains within the programmed limits, we also carry out qualification of these portable refrigerator / active boxes for medical transportation requirements. eg. If a portable refrigerator is qualified for 2 to 8 Degree Centigrade, this is a certification indicating that the particular box is capable of maintaining a temperature between 2 to 8 Deg C.
One of our sales engineers will get in touch with you. would this cool box be suitable for the transportation of liquid feeds that have to be kept at 2-8 degrees. They cannot be frozen just keep at this temperature. I need a small refrigerator/cooler for my face creams and medicine to use in my bathroom. Do you have anything like that? Thank-you for your interest! Our sales representative will get back to you. For further inquiries, please contact us on +971 42661144 or send an email to sales.en@vackerglobal.com. Would you send us quotation of Electric portable powered Medicine/Vaccine cooler boxes for Vechicles (QTY3 with different sizes Small, Medium , Large) with all accessories inculding the shipment to jeddah, Saudi Arabia. would you send us the E-catalog with the full specs of the above item via our below email please.